Lena Dawson, a fingerprint examiner at a crime lab in Syracuse, New York, arrives at work and encoutners Erin Cogan. Erin’s son, a baby, died five weeks prior, and she insists he was murdered. The police think it was just another SIDS (Sudden Infant Death Syndrome) case, but Erin believes someone was in her house. She’s come to Lena beacuse she’s heard Lena has an insight, some intuition that can see through evidence to find the truth. I was first drawn to this novel because of its setting, but this well-written story will appeal to anyone. 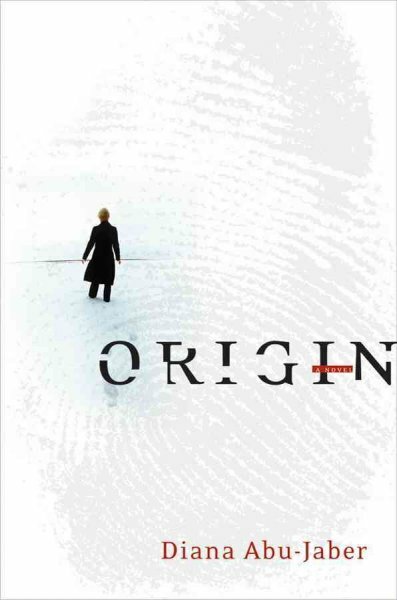 More a psychological study than murder mystery, Origin reads with an authenticity in its characters, its setting, and its story. Our narrator, Lena, is a young woman adrift. During a typical Syracuse winter, she will have to confront her past, growing up in foster care and her earliest memories of a rain forest and an ape mother. Complicating matters is a jealous ex, whom Lena stills seems to have feelings for, and a budding relationship with Keller, a police detective, and a loner like Lena. Investigating the Cogan case, Lena soon discovers a series of crib deaths that have all been attributed to SIDS. She then discovers one thing the deaths have in common. A blanket given as a gift. A blanket dyed with chrome, a toxic chemical, each of the children inhaled as they slept. Origin will keep you reading late into the night wanting to peel back the layers of Lena’s past, to see how the case unfolds, and ultimately to know who the murderer is and why they would kill innocent children. This novel is a bit of a departure for award-winning author, Diana Abu-Jaber, who generally writes about Arab-American themes. In Origin, she has spun a marvelous tale with highly readable prose that never lags. Abu-Jaber was born in Syracuse—she attended SUNY Oswego—and her novel is perhaps the best one I’ve read that’s set in Syracuse, NY. Fans of CSI style shows might enjoy this realistic glimpse of a lab examiner who goes beyond her job description. For anyone in, or from, Syracuse—like me—it’s a must read. I loved this story. Too bad the author did not pursue the heroine as a serial character.